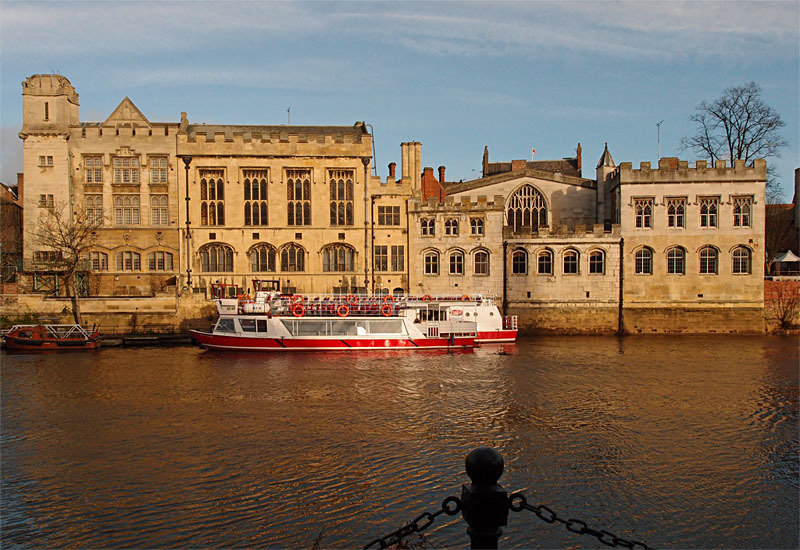 The plans to remodel the Guildhall buildings as a Digital Media Arts Centre (DMAC) have been in the news recently. It’s all very interesting indeed, and something we’ll be no doubt be hearing a lot more about in the future. What I’m picking up (from Twitter, mainly) is that the project is one of those divisive things where concerns many people have had for a long time become focused on a particular building/project. So I’d like to raise a few points, ask a few questions, that kind of thing. The Guildhall is an ‘iconic’ building. It’s a symbolic building, invested with meaning, with a history going back centuries. It’s where meetings of full council are held, where important decisions are made. It’s where citizens speak on issues they feel strongly about, in the ‘public participation’ part of those meetings. These things of course happen elsewhere too now. Many of the council meetings take place in rooms at West Offices. And the relocation of the council to that building means a new use has to be found for the Guildhall buildings. It is buildings we’re talking about here, in the plural. 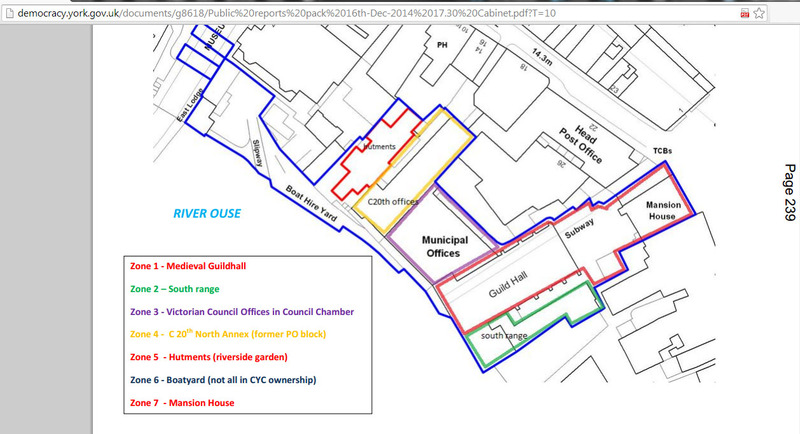 A PDF provided in a background report on the council website (see links below) includes this handy plan of the various buildings making up the Guildhall complex. Which of course has at its heart the original medieval hall, or rather the rebuilt version of it after it was bombed in the war. Then there are additions, 19th century and later. Perhaps we should be making a point of calling it the ‘Guildhall complex’ or ‘Guildhall buildings’ when talking about the plans. The DMAC, as I understand it, would be using the more recent parts of the complex, while the council intends to retain the council chamber. We could be forgiven for imagining that our ancient hall and council chamber is going to be turned into hi-tech office space filled with interns writing pieces for oneandother.com. That’s how it’s coming across at present. The project to transform the Guildhall buildings was clearly a key part of the UNESCO bid, which has been successful. This has been widely welcomed on Twitter but as far as I can tell hasn’t meant much to the wider York community. Not a criticism, just the way it is, inevitably. Different communities with different concerns and different perspectives. I’ve been thinking a lot about the different communities and different perspectives, but those thoughts would make this page far too long. It’s clear though that there are concerns about the cost, and questions about what is seen as another ‘vanity project’. These seem valid concerns and questions, and I hope they’re answered. Is it a ‘vanity project’? In what way? The Guildhall plans appear to be an attempt to keep the city’s talented graduates in the city. It makes sense, doesn’t it? 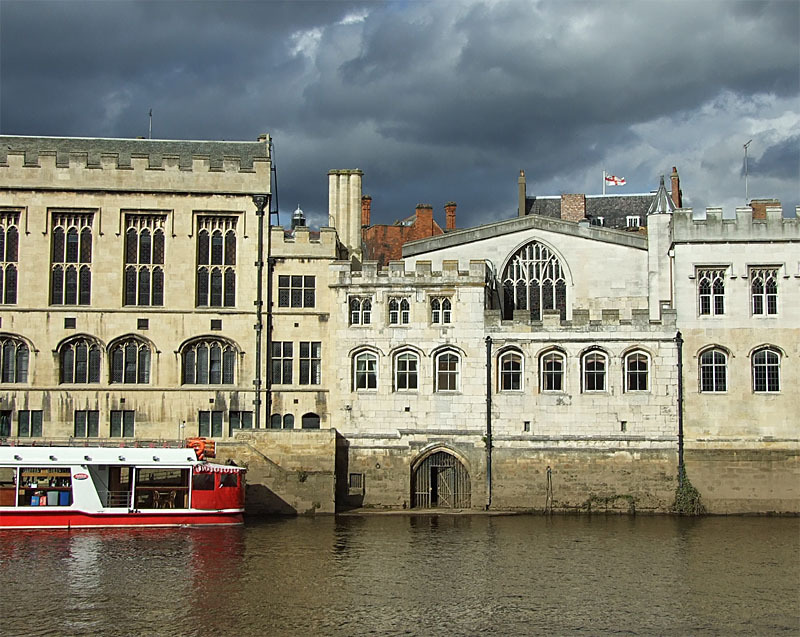 I see many complaints about the fact that too many jobs in York now are insecure and low-paid. So how do we change that … by encouraging the younger people with the drive and imagination to form successful businesses to stay here, rather than moving elsewhere? On the other hand, it seems that a Digital Media Arts Centre could be created anywhere, and driving through plans to put it here, in what was for so long the ‘seat of power’, is creating some friction and disquiet. I understand that too. It also occurs to me that making big plans for anything associated with ‘digital media’ is a bit risky. I’ve been using the internet for 15 years, had this website for more than a decade, and seen many changes in all things ‘digital’, in the last three years in particular. Any redevelopment of these historic and important buildings right in the centre of the city will be a long and complex process. Will take two or three years, probably more. What will ‘digital media’ look like by then? Perhaps we won’t need a permanent ‘centre’ on this kind of scale? I don’t personally feel strongly either way. I only care that we don’t waste money as enough has been wasted already, particularly on the fiasco over that bridge a stone’s throw away from the Guildhall buildings. Anyway, I’d urge anyone interested to have a look at the report linked to below, part of a huge PDF covering all the agenda items from the council’s cabinet meeting a few days ago. The relevant section (agenda item 12) is an interesting and informative read, not only on the plans for the Digital Media Arts Centre but on the background situation regarding employment and the city’s facilities (or lack of them). The relevant bits of the council meeting are worth watching too. The adjoining boatyard is to be part of the plans. A couple of years ago when all this was first mentioned I came up with an idea for the reuse of that area, which I also offer as a less serious read: Ye Olde Boatyard, crone attraction idea. Also available on this link. Earlier in the same meeting Cllr Brian Watson expressed some concerns about the project. That’s on this video, at 15 mins 54. 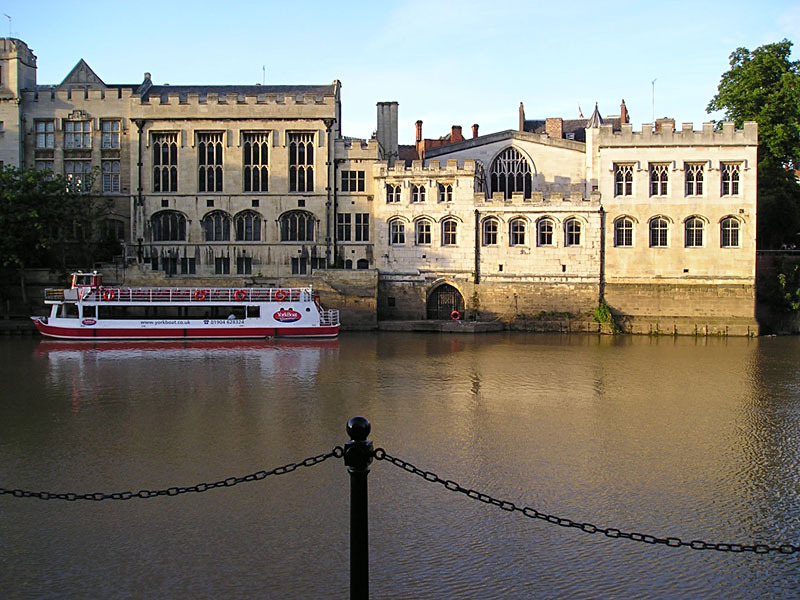 Concerns over the cost and funding of the project have been reported in the Press this week: Guildhall digital media centre plan to be re-examined following funding row.